In most of Canada, after more than 40 years of inclusive education practice, access to quality inclusive education still remains a matter of chance, particularly for children with intellectual disabilities. While many might argue or believe access to a quality inclusive education is dependent on the availability of resources or the perceived severity of a child’s disability, neither these or other similar factors account for whether a child will be welcomed into a classroom or a school. It is principally a question of time and place – a matter of where a family happens to live at a moment in time. In every province and territory there are children with developmental disabilities who have received or are receiving a quality inclusive education irrespective of the severity of their disability, their age, provincial/territorial funding or teacher training. This occurs when a family happens to live in a neighbourhood or community where a teacher, the school all children attend or the school the family has chosen, welcomes the inclusion of students with disabilities. The same applies when a parent happens to live within the boundaries of a school district where the leadership of that district embraces inclusion across their schools or at the very least honours parental choice for an inclusive education. Amazing teachers, schools and school districts, acting on their commitment to quality inclusive education for all, are evident across this county. But their continuing existence is temporal and their impact on systemic change is, unfortunately often negligible through no fault of their own. In many schools when a welcoming teacher or principal changes, inclusive education might vanish and any history of having provided inclusion in the past erased from a school’s memory. This is why those parents who live in a place and time when their child’s inclusion is subject to the vagaries of a single teacher or principal’s belief, dread the coming of spring. It is often in the spring when parents might be called to a meeting to be advised that while inclusion was possible this last school year that will not be the case next year. They are never told this is a result of a change in teacher or leadership beliefs and values but instead are given assorted and tired clichéd excuses from funding to the demands of the curriculum. The illusion that inclusion is primarily a function of funding, teacher training or a student’s disability is exposed when a parent simply has to move across the street to be within the boundaries of an inclusive school or district or without moving, change religion or language for their child to be eligible for schooling from a different district but one sharing the same boundaries. Myself and many other inclusive education practitioners, leaders and advocates personally know families that have moved, changed religion or changed schools so their child could be welcomed, wanted and included. In addition, we know which teachers, schools and school districts are inclusive and as such it is not unusual for those who support inclusion to be recommending particular schools and districts. In essence those teachers, schools and school districts provide quality inclusive education to the same students other teachers, schools and school districts reject; they provide inclusion under the same provincial and territorial funding their counterparts claim as the basis for not being inclusive. Inclusive schools and school districts allocate their funding, and hence resources, on the principles of equality and equity. Each student being viewed as equal in human worth and dignity, then resources, which are always limited, are allocated equitably. These school systems have recognized that inclusion benefits all students from learning to character development. While these teachers, schools and school districts have demonstrated for decades that quality inclusive education is possible given their commitment and leadership, it remains disappointing that this collective knowledge of decades of practice is not sufficiently capitalized upon by fellow educators, administrators, systems and governments. The continuing refrain from some school systems that they do not receive sufficient special education funding must be altered as both morally and ethically school systems should be advocating for sufficient funds to educate all students. Arguing for a pool of funding specific to students labelled as having special needs will always, and has always, allowed school systems to limit inclusion and worse. claim students with special needs are stealing funding from their brothers and sisters without disabilities. The total amount of funds received by school systems needs to be allocated equitably to the equal benefit of all. To do otherwise has allowed school systems to claim while they are responsible for providing an education to students without disabilities, those with disabilities must remain marginalized and waiting for inclusion. There will never be a time when school systems believe they have all the funding they require. As a consequence, those systems that maintain the argument that a student’s access to an inclusive education is dependent on the adequacy of funding will always be able to plead inclusion is not possible nor its resistance or denial a function of their beliefs and values. It is time to further challenge the status-quo by questioning more thoroughly the investment of always limited public dollars in educational approaches that produce poor post-school out comes; segregated and congregated classes for students with intellectual disabilities being a prime example. Cost needs to be measured as well for those students whose futures over the next 50 plus years of their lives are being compromised when access to inclusive education remains a game of chance. Inclusion, as the luck of a moment in time and neighbourhood as to which teacher, school or school districts is drawn, ought never to be the destiny of any child. Uditsky, B. (2017). 40 Years of Inclusive Education Advocacy: A Personal Perspective. In K. Scorgie and D. Sobsey (Eds. ), Working with families for an inclusive education: Navigating identity, opportunity and belonging. C. Forlin, (Series Editor), International Perspectives on Inclusive Education, V.10, pp. 175-181. Emerald Publishing, Bingley, UK. 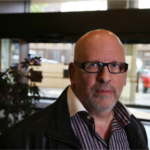 Bruce Uditsky is the Chief Executive Officer of Inclusion Alberta, an organization advocating for an inclusive society for persons with disabilities. Bruce has been a leader for community inclusion for persons with disabilities for over 35 years. Throughout Bruce’s career, he has taught, written about, and consulted on community inclusion and social justice. His work has been instrumental in promoting inclusion, disability awareness and barrier-free environments for persons with disabilities in Alberta, Canada and internationally.